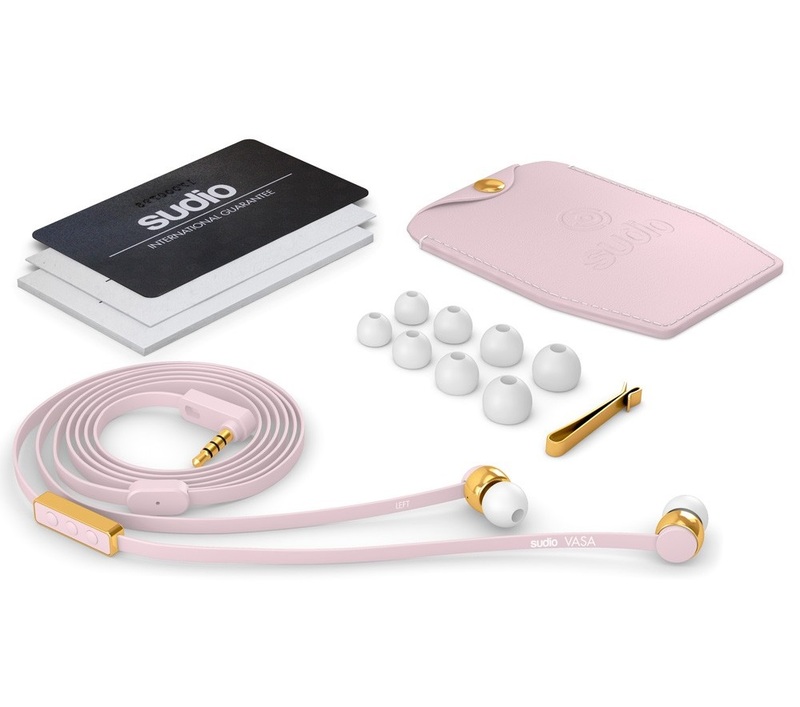 Let me introduce you Sudio, a Swedish lifestyle brand which produces elegant earphones and offers studio quality sound. Their earphones, in fact, aren't only an electronic accessory but also a real stylish item. The name Sudio comes from an incident when one of the founders spotted the musician Phil Collins in New York having problems with his headphones. When they still were in the prototype stage and didn't even have a name, the only words the founder could say to Phil were: “trust me I know the feeling”. So, the name Sudio is just an homage to Phil Collins song Sussudio. The aim of the brand is to make classy earphones to wear all the time like precious jewels, with a great and unique sound experience. And, in fact, they really are so. I got Vasa model in pink; the Sudio VASA collection has been named after King Gustaf Vasa, who led the Swedish War of Liberation against King Christian II of Denmark during the 16th century. The packaging also included 4 pairs of extra, sleeves, owner’s manual and quality assurance card, a genuine leather carrying case and a metal clip. The leather case is a polished and refined detail that I immediately loved. 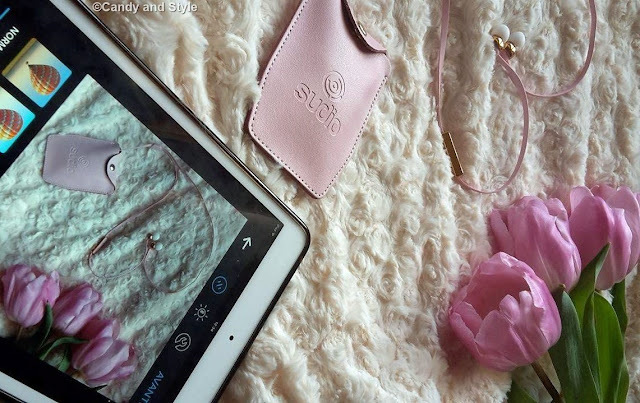 My experience with Sudio? I'm truly impressed by my Vasa earphones: the sound is fantastic, I can clearly hear every detail in everything I listen: audio or song. The 3-button remote allows to quickly control the volume and stop what you're listening, pretty useful. Plus, the design is super feminine, luxury and charming, in one word so irresistible. Did you already know Sudio? What do you think of their minimalistic yet sophisticated design? For further info, visit the official website, facebook page and instagram account. Sono davvero trendy, le più cool che io abbia mai visto!!!! very stylish your pink earphones. Your experience sounds great. A trendy way to listen music. Perfect gift for Valentins Day. The fact behind the sudion earphones are very interesting. And btw your picture ist fantastic. bellissime ludo,il colore lo adoro,ovviamente!un'ottima idea regalo..
Che belle...molto chic,poi rosa sono meravigliose. No,i do'nt know Sudio!I must informe my daughters! They will be thrilled with those preety and stylish pink earphones! Love your photo with the pink tulips! Have a great weekend dear!Hugs! Adoro il colore! Un bacione Lilli. Love the colour, the design and the different sizes of the earphone tips. So interesting about the Phil Collins connection - of course I know the song and it's funny that it influenced the name of this product :) Have a nice weekend. I love it when style marries function and that is definitely what's going on with these pretty pink headphones. They look so elegant and sturdy and the story behind how the company got it's name is cute too. It sounds like you've been enjoying your time with them too. I'll have to go check out the line now. Happy weekend! The pink colour makes them so cute! Interesting how they came up with the name. Have a great weekend Lilli! I love the story behind the name. Definitely something to remember. Great review ! Ehy Lilli che belli, e poi in rosa sono cosi femminili! I love the colour and how they come by the name. 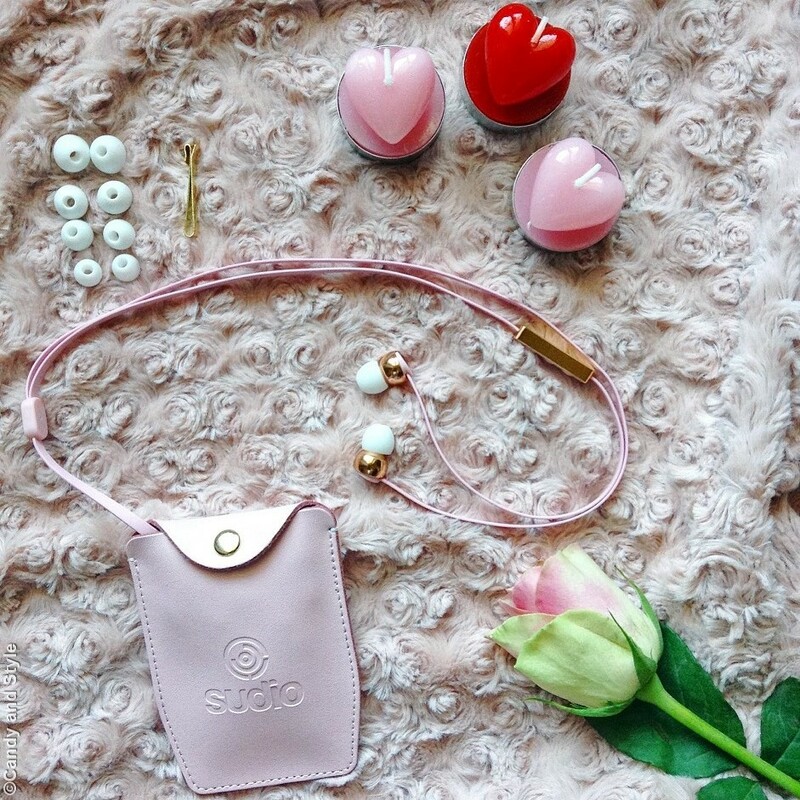 Love the headphones and so pretty in pink and thanks, for sharing. the photo of you is lovely too. Hi Lilli~ I never heard of these and I will have to check them out!! You look great~ pretty in pink!! These earphones are absolutely classy. I've never heard of this brand and I I never knew beauty and quality sound could come together! The history to this is really interesting and also how the names of the earphones are derived. Looks so pretty. I like the case and the colour.